Lights. Action. Glam. Dance. 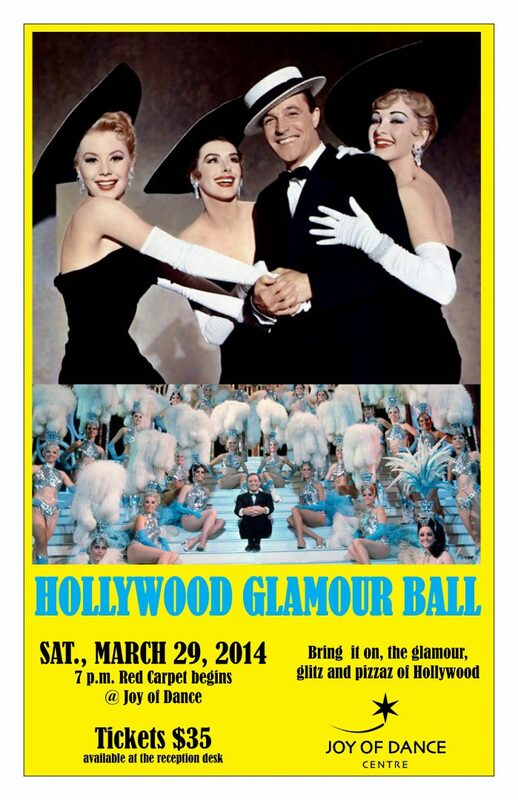 Join us at Joy of Dance on March 29, 2014 for the Hollywood Glamour Ball. Walk the red carpet in style. See fabulous performances. We invite you to come as a character from your favorite movie, your favorite era or simply come as the star you are. Come and be part of this magical evening. Tickets are and can be purchased at Joy of Dance. Reserve them now, They are going fast.